The original ARO Tank was one of my favorite eGo-compatible tanks. The design was maybe a little uninspired but it worked great. The ARO II is a complete overhaul with a much more modern appearance. However, the Pyrex option has been dropped. So, does that make this tank less of a contender? Read the rest of the review and find out for yourself. Smok’s reboot of the ARO tank is a much more sleek design as I mentioned in the intro. I suspect much of the redesign was to make this a very affordable tank as opposed to being purely for aesthetic reasons. Where once was a metal clad tank with a viewing window now is a fully-plastic design (save for the bottom ring). Gone too is the option to have a Pyrex tank, at least at MadVapes where I picked this model up. My favorite liquids are notorious tank crackers, so the loss of a glass tank makes me sad, but it might not matter to you. The plastic is high-quality and doesn’t seem to be prone to breakage through dropping. This design is so radically different, I’m not sure why they didn’t just brand this as a new model altogether. Enough about the old, this review is about the new version, so let us dispense with the nostalgia. The new ARO features a plastic body divided into four segments. 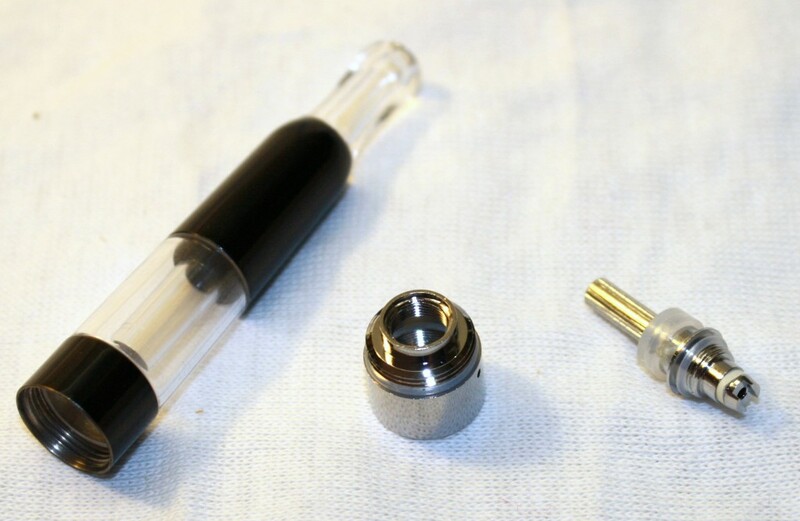 The first is the drip tip, which is fused to the top portion of the body. 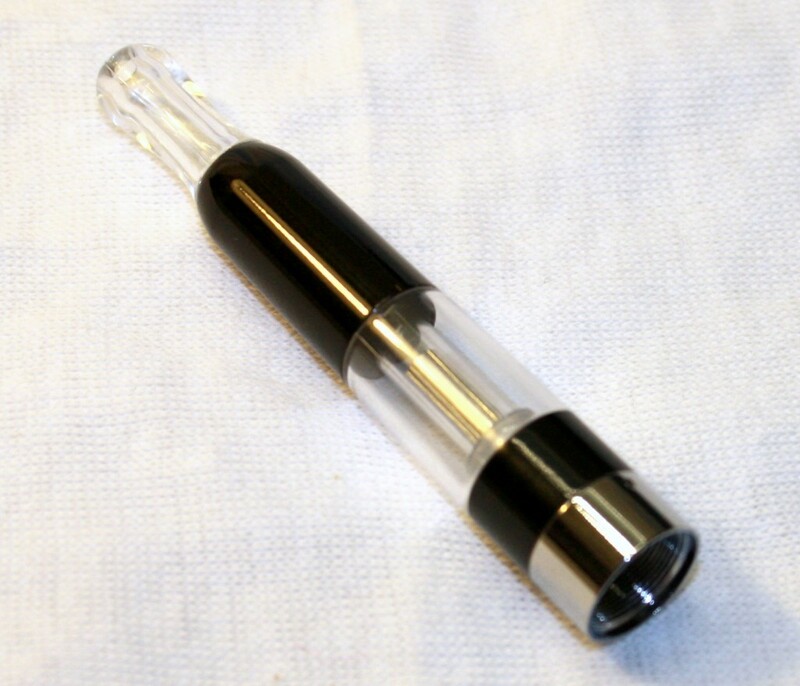 That portion, is opaque as is the part of the tank below the clear section where you can see your e-liquid levels. You can get the tank in several different color options for the top and bottom sections of the body. I’m almost tempted to call this tank a unibody design. But, it’s actually not. You can feel a seam between the top and bottom sections and the clear tank section. This means the parts are separate and glued together. I did not, however, run into any issues with the parts separating on me, so it’s a quality build. When I said the new design shares nothing with the original, that’s not entirely true. This model uses the same replaceable heads as the elder version. This head screws into the bottom cap of the device. Filling is done by removing that cap, which makes sense because it’s the only part you can remove on this tank. 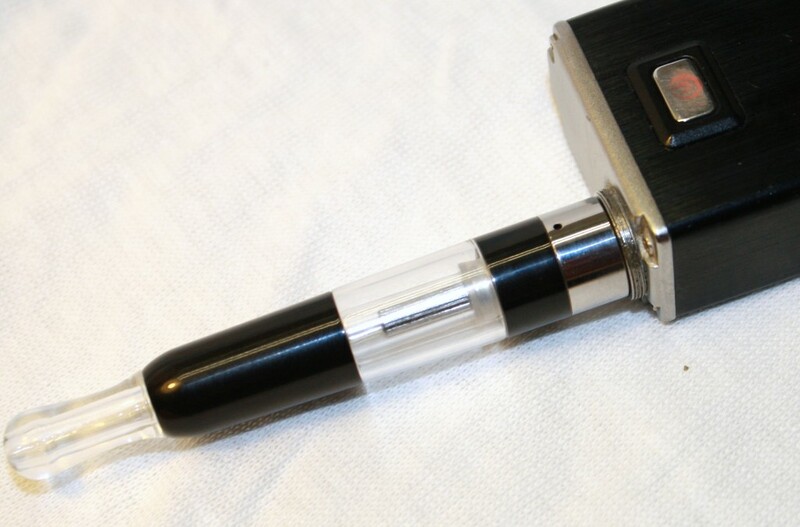 e-Liquid stays where you put it, thanks to a series of gaskets inside the head and tank. I haven’t had any gurgling issues or the like, which I can’t say about many bottom coils devices. I sort of jumped ahead of myself by mentioning the filling method and leak-free aspects of the tank in the design section. I won’t repeat myself here. Filling is about average for an eGo-style tank. There’s not a ton of space between the side of the tank and the air tube because of the slim design. That’s the price you pay for a tank that integrates with eGo bodies so well. Since I already mentioned the gurgling, how about the opposite? Sometimes things are sealed a little too well and wicking becomes an issue. Not with the ARO. I found the tank was ready to go on the first fill without any sort of break-in period. I could cruise along at higher wattages without the wicks having any trouble keeping up. The tank seemed to be happiest a little lower than full power. Around 9.5 watts seemed to be the sweet spot on this tank when using it with my MVP. Oddly, I got the best results on full power on a Spinner eGo battery. At either respective setting, vapor production was surprisingly warm for a bottom coil tank. I also got a satisfying hiss and crackle from the head as it did its heating job. That’s a bit of a rarity from tanks, and it was one of the most satisfying things about rocking an old-school carto tank. Vapor production was equally good as the crackling noise. It’s perhaps not the biggest fog machine ever, but it’s not disappointing either. Flavor reproduction was also quite good, bringing out some of the flavor notes in a fairly low-power e-liquid I’ve been using lately. I’m a little sad I couldn’t use my regular e-liquid in this tank. Then again the incredibly reasonable price for such a well performing tank does make up for the building material. This is a great choice for fans of eGo-style tanks. The ARO II is more of a totally new tank than an upgrade to the original ARO tank. The plastic design does mean acidic e-liquids need not apply, but the low price makes this a smart buy for just about anyone. Despite the low price tag, don’t think the performance suffers just because this is an economical replaceable head eGo tank.